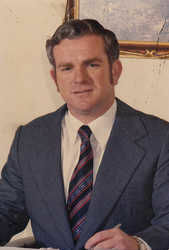 Malcolm (“Mal”) Dubock came into the funeral industry by accident in late April 1964, having previously been employed as an accountant. In the funeral industry, he discovered his true passion, assisting people through a difficult time by arranging and conducting their family funerals. Mal married Maureen on the 23rd May 1964, three days before his 25th birthday. In 2014 they celebrated 50 happy years of marriage together. Prior to marrying Maureen, Mal had spent six years in the army and is a graduate of the Officer Cadet School, Portsea. Mal and Maureen established Dubock Funerals in 1987. Starting with a second-hand hearse, some basic equipment and the generous assistance of friend and mentor, the late Bob Minter, they were on their way. In 1987, Mal was told by a couple of senior executives from a corporate funeral company that the business “wouldn’t last until Christmas” providing the impetus to prove them wrong. From humble beginnings, Dubock Funerals has since established itself in a critical niche in the Melbourne funeral industry, providing personalised care and routinely going “above and beyond” for its client families. As a family-run funeral home, Dubock Funerals prides itself on its level of service, attention to detail and compassionate care provided to Melbourne families. Dubock Funerals are greatly assisted by a team of highly professional and loyal staff, to whom they owe a great debt of gratitude. They are also fortunate in the quality of the support they receive from those providing excellent ancillary services, including clergy, civil celebrants, florists and musicians. Mal turned 75 on the 26th of May 2014, by which time he had amassed 50 years of funeral directing, having conducted over 7,000 funerals over that period. With the intention of continuing to provide services for their traditional client families at a particularly sensitive time, the Dubock family needed to have a succession plan in place as Mal got older. 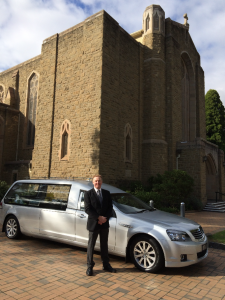 Having seen so many successful family funeral businesses dissolve over the years or sell into the corporate sector, Mal's son Stephen is now managing the day to day running of the business with his brother Phillip backing him up with bookwork and administrative functions. Mal Dubock stepped away from the day to day running of the business in January 2015, although still acts in an advisory role. Dubock Funerals continues to operate today, upholding Mal’s vision of a prioritising personal care, compassion and excellence in service.